The Mansion House is the home of the Lord Mayor of York, starting in 1725 this was the first purpose build residence of the Lord Mayor in the country. It was built as a home, and a place for the Lord Mayor to entertain city visitors, and also to house the wonderful civic collections. York’s famous Mansion House is built on sand, so therefore has no proper foundations and over time it has started to sink with cracks forming in various places throughout the building. 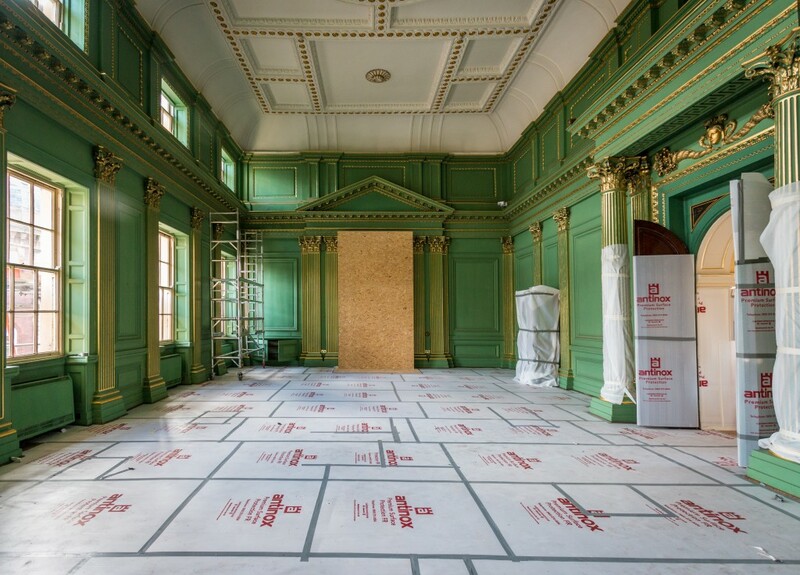 A York Construction Company were chosen to carry out the restoration project to restore and secure the building for a longer and safer future. Here at The Site Book we are extremely privileged to be part of this restoration project in supplying many of our products. 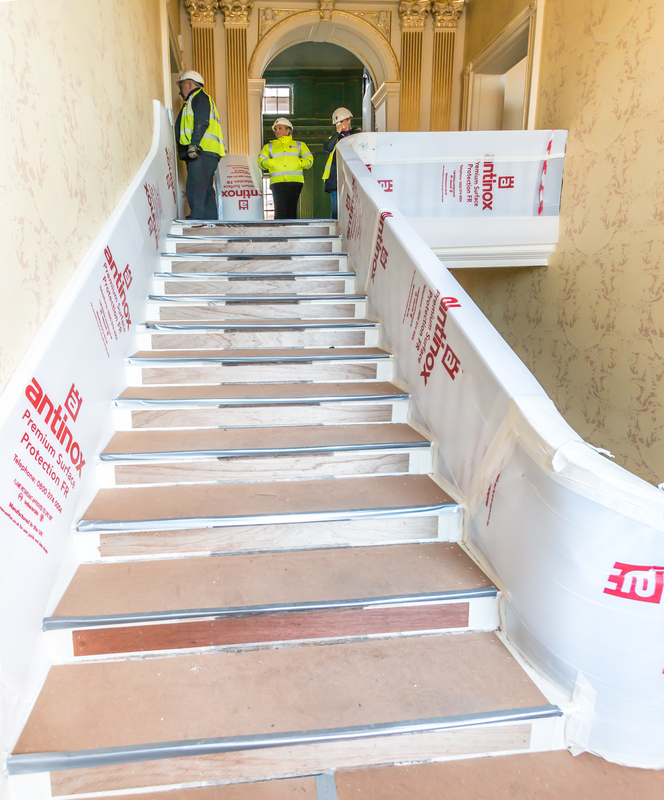 As shown in the picture, our Antinox Flame Retardant Protection Board has been used to protect floors, doors and stair handrails. Along with our Grey PVC Tape the Antinox has been laid with care and attention to create an amazing neat tidy finish. As well as the Antinox and tape, our Antimar Bubble Wrap was used to protect the gold edged pillars. Special thanks goes out to Mr Martin Butcher, chairman of the York Camera Club, for some outstanding pictures of our products in use at the Mansion House. Posted in Antimar, Antinox, Bubble Wrap, Door Protection, Flame Retardant, Floor Protection, Grey PVC Tape, Historic, News, Tapes, The Sitebook. Tagged Antimar, Antinox, Bubble Wrap, Door Protection, Flame Retardant, Floor Protection, Grey PVC Tape, Historic, News, Tapes, The Sitebook. The Benefits of Obviously Identified Laptop or desktop Discipline Preparation Solutions.